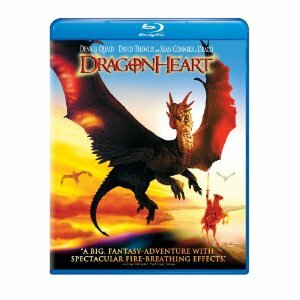 WorldMovieStore - Dragonheart Sinopsis. Long ago, when majestic fire-breathers soared through the skies, there lived a knight who would come face-to-face and heart-to-heart with the most remarkable creature that ever existed – the dragon. Dennis Quaid stars with the voice of Academy Award® winner Sean Connery in the heroic adventure that blazes with fantasy and humor. Dragonheart is an epic adventure that will thrill the entire family. Read More Sinopsis. 0 Response to "Blu-ray Release Dragonheart"